LED emergency lights are a legal requirement in all UK non-domestic properties and ensuring a building is compliant with current regulations (BS 5266 – 2016) is a specialist service that we carry out for our customers. As part of our LED lighting upgrades & installations almost every project includes the use of emergency lighting. Offering an emergency lighting service is a natural extension to an LED lighting service. We advise on and provide emergency lighting as an integrated part of our business rather than just an add-on so that we can expertly advise our customers on not only their legal obligations; but also to create the best possible solution for their own particular requirements. Emergency lighting is required to operate fully automatically and provide a light level sufficient to enable all persons on a company premises to evacuate the building in a safe manner. Due to this, the rules and regulations regarding emergency lights are understandably strict and we pride ourselves on being able to expertly advise on the matter. Our audits come in 2 parts, an initial visual survey to establish what type of emergency lighting a customer already has in place and secondly, a function test to establish the correct minimum light levels are being obtained from the existing emergency lighting. Following an emergency lighting audit we can advise how best to bring the emergency light levels up to regulation minimums. Depending on the current installation, a variety of options could be considered and installed such as increasing the quantity of emergency lighting, relocating emergency lighting that is installed in areas where it is not required, replace the type of emergency lighting for higher light output units, replacing non-maintained for maintained lighting, improve and/or increase the emergency exist signage. It is a legal requirement for all new or modified emergency lighting systems to have a valid completion certificate where the design, installation and verification of the project has been considered, implemented and installed as per the agreement of all parties involved. Root3 can contribute to any part of this completion process from emergency lighting design, to carrying out the installation or to verify the installation as per design requirements. 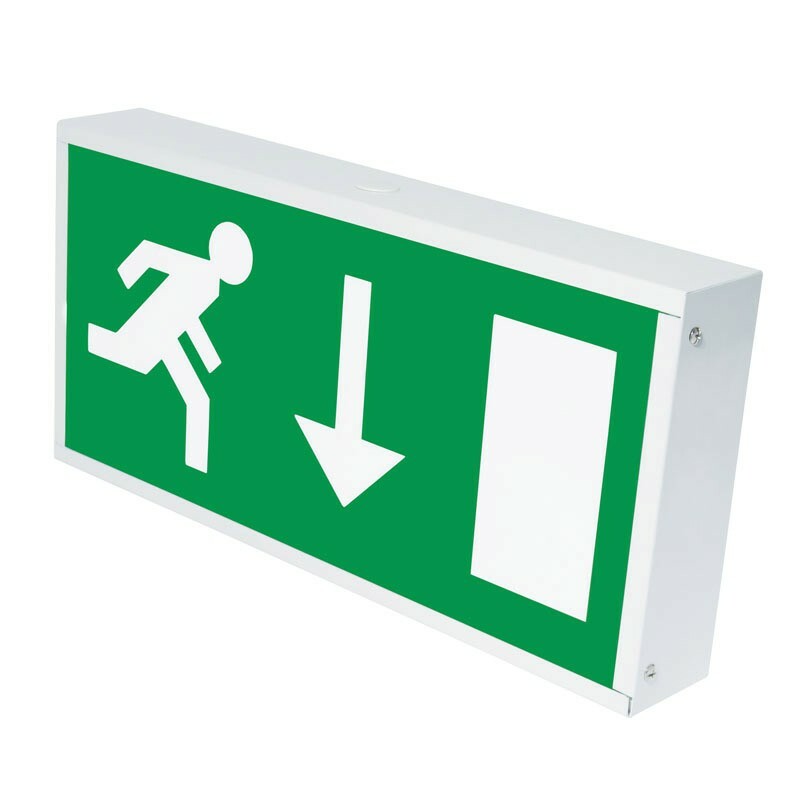 For emergency escape routes on a business premises, the law requires that emergency lighting is installed. It must remain in operation when the normal functional lighting fails. Lighting is essential to enable all persons to escape from a property whether that be to exit a property because the lighting has failed or indeed to escape from a property in an emergency situation. A central battery system is generally installed in large properties due to the complicated and expensive hardware that it is comprised of. This type of battery system is used in large battery banks, change over panels, UPS panels, switchgear all of which would normally be installed in large plant rooms. A dedicated circuit is wired around a building with no switches anywhere on the circuit to ensure that there is no break in the circuit. Any light fitting wired to an emergency circuit would become an emergency light, normally wired in a fire resistant cable to ensure the integrity of the circuit is maintained. The second method and much more common way of completing an emergency lighting project is using self-contained emergency light fittings. The battery responsible for keeping the light fitting on is fitted inside the light fitting itself. This method is a much more cost effective way of installing an emergency lighting system and there are several options to consider when looking at this type of fitting. Many light fitting manufacturers have an emergency option for their products whereby a battery and charging circuit is built into the fittings. If an integrated emergency fitting is not available from the lighting manufacturer then an emergency bulkhead or small LED downlight can be installed either adjacent to a light fitting or directly into the escape route. The bulkhead and LED downlight options are often much cheaper than the integrated emergency light fittings supplied by the light fitting manufacturer. The risk assessment process will determine the best method to be selected and should always be conducted with all relevant parties. There are many emergency lighting products available in the UK to utilise for commercial properties, we can advise you on the correct product for your application.